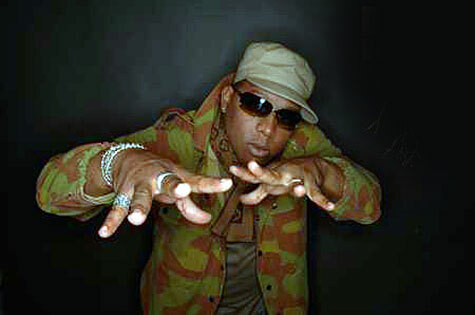 After years of successfully twisting, turning, and transforming other artists’ hit tracks into gems, DJ Maj shines up his own set of jewels as MC with BoogiRoot (2005/2009) —a head-turning testament not only to Maj’s talent for skillfully laying down rhymes on the studio mic but also for penning complex, literate, miles-deep lyrics. It’s the kind of album that inspires as much (or more) attention to every last word as the beats and melodies themselves. “BoogiRoot is a play on words,” Maj explains. “In one sense it’s a kind of ingredient—just like the ginger root or beet root, the BoogiRoot is my spice that I’m putting in the culture from a hip-hop perspective. In nature, the root goes to places the rest of the plant or tree can’t go— yet it remains a part of the greater plant body. The nutrient finder and provider. Same truths, same nutrients, different perspective. I feel in my gut that this record has the potential to go places where others haven’t gone—I want to bring spiritual nutrition to culture as a whole. And the boogie part is just me saying that we should all have a good time while we’re getting the message,” he adds with a chuckle. Another dcTalk album, tobyMac, helps give wings to “Can’t Take It Away.” “It captures what’s in my heart and what’s in Toby’s heart—that nobody can take our peace, our joy,” Maj remarks. “You can lock us up in jail, but we’ll just go on singing. It’s inspired by Paul and Silas. “I also want people to think about my references to artists like Mase and Kanye West and Vanity. There’s something about these people that made them start talking all that Jesus stuff. What made them want to do that? Why would someone like Mase leave all he has?” In the end, it’s about living in constant pursuit of true life. The mixmaster from Lafayette, Louisiana recently unveiled his third Gotee CD, The Ringleader (2009), in the same "mix tape" format he introduced to the Christian music community six years ago. Featuring new compositions and remixes from the likes of tobyMac, Kirk Franklin, Out of Eden, L.A. Symphony, 4th Avenue Jones and GRITS, The Ringleader is the closest thing Christian music has to a WoW Hip-Hop compilation.